Paul LePage spox: "White girls," drug dealers comment wasn't race-related. Maine Gov. Paul LePage at a House subcommittee hearing on Capitol Hill on May 13, 2015. 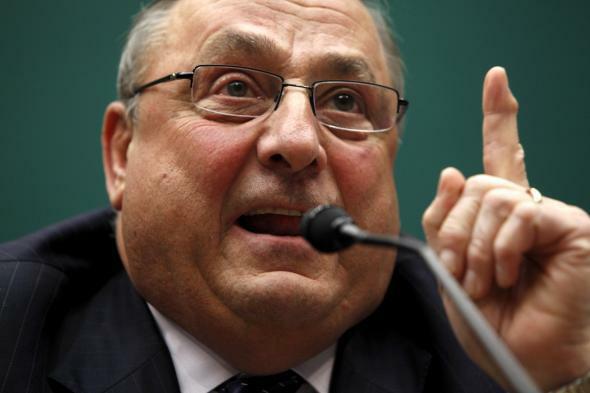 Now, LePage could have barely maintained plausible deniability and claimed that he wasn’t appealing to racial prejudice if he had just stuck with the “D-Money” thing and the reference to Connecticut and New York. (There are about 4 million black people combined in Connecticut and New York but less than 20,000 in Maine.) But then he went and specifically complained about the horrific possibility that Smoothie or Shifty might put a bun in a white girl’s oven. At that point, you’d think the game (of pretending you didn’t just say something obnoxious and racist) would be up. Not so, says LePage spokesman Peter Steele! “The governor is not making comments about race. Race is irrelevant,” Steele said in a statement he emailed in response to a request to have the governor explain his comments. Smoothie and Shifty could not be reached for comment. Race is irrelevant.